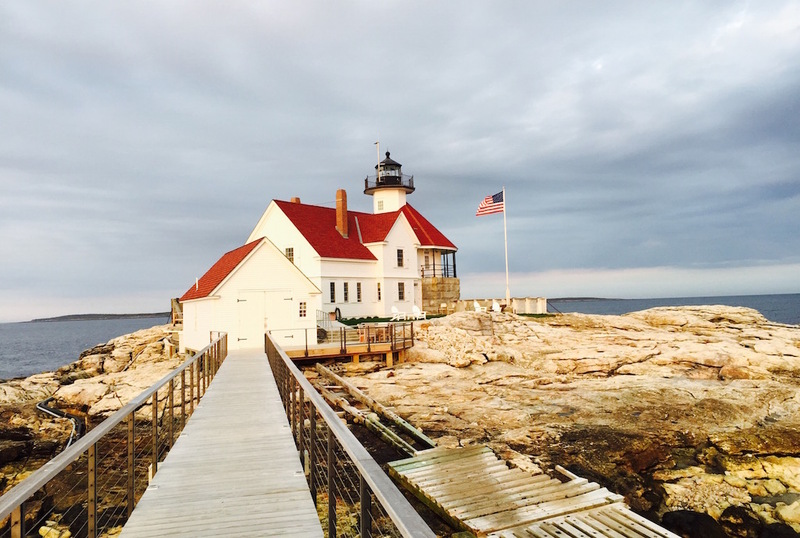 Checking In | The Inn at Cuckold’s Lighthouse | A Continuous Lean. There’s something about the prospect of staying in a lighthouse that adds an element of rugged nautical adventure to any trip. 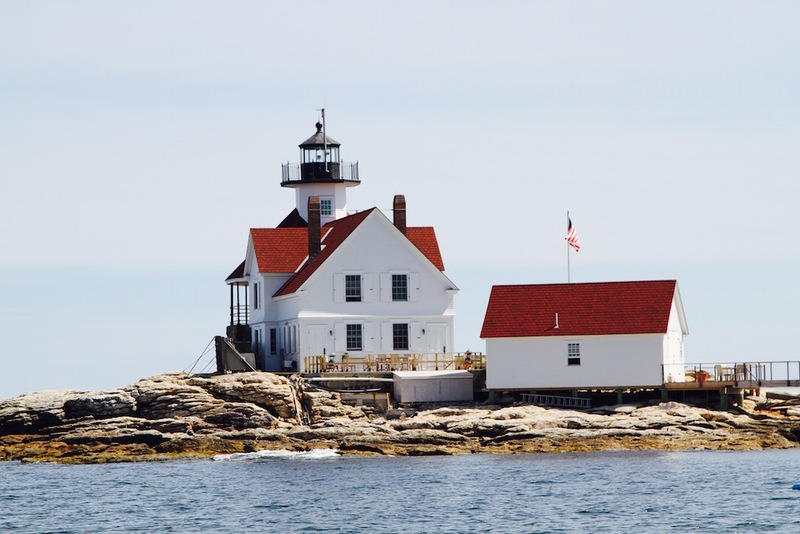 The small rocky island that’s home to the Inn at Cuckold’s Lighthouse may not be far off the coast of Maine’s Boothbay Harbor, but arriving there feels a bit like abandoning civilization; until you see how elegant it is inside. Nearly 12 years and $3 million in the making, the Inn, which has only two spacious suites is currently celebrating its first full (and completely sold out) season. 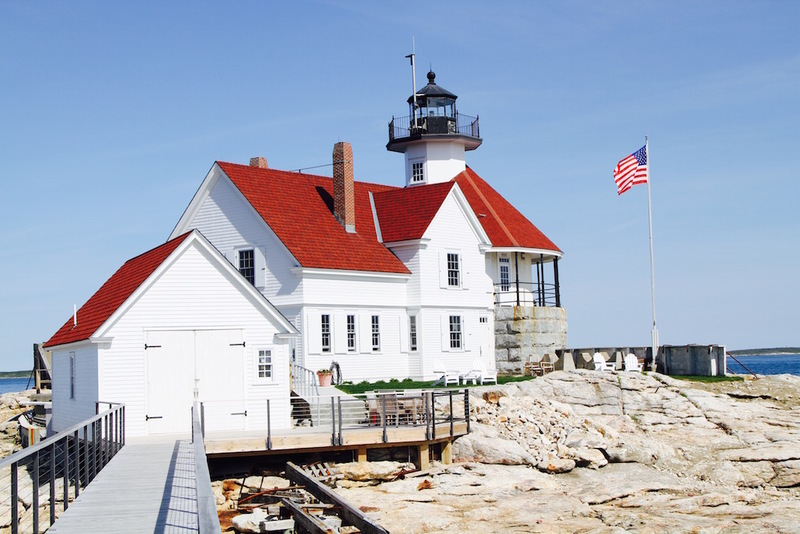 One of just a handful of lighthouses you can stay in around New England, it was originally constructed as a fog signal station in 1892. 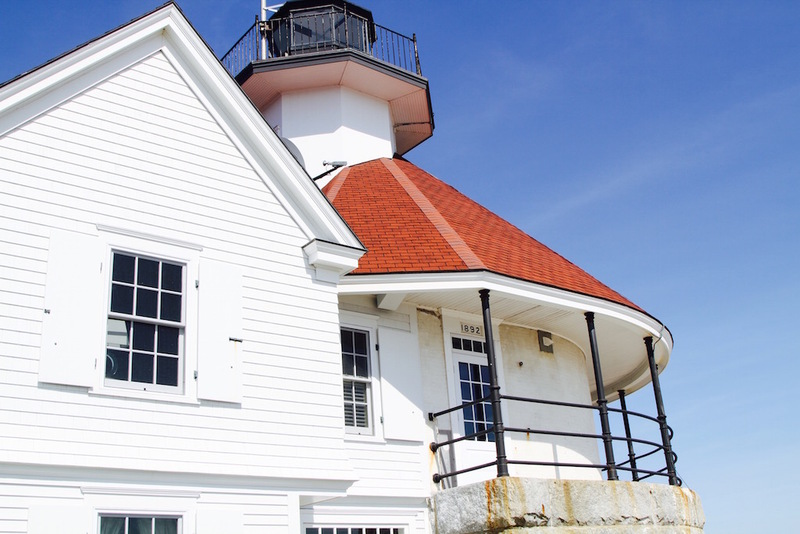 In 1907 a light tower was added, greatly aiding the development of Boothbay Harbor as a safe haven for both commercial fishermen and summer residents. The station, set on a granite pier, was manned by two pairs of keepers working in shifts until the mid 1970s when, like many others, the light was automated. A few years later the keeper’s house and boat house were dismantled following storm damage, leaving the tower to stand watch on its own. The Coast Guard later built a large wooden platform so helicopter crews could periodically check on the station. In 2004 the signal was slated for demolition to be replaced by a fiberglass light pole. Preservation groups headed by local residents stepped in to save it and the painstaking process of restoring the handsome landmark was begun. In 2014, the incandescent light was replaced by energy efficient LEDs. 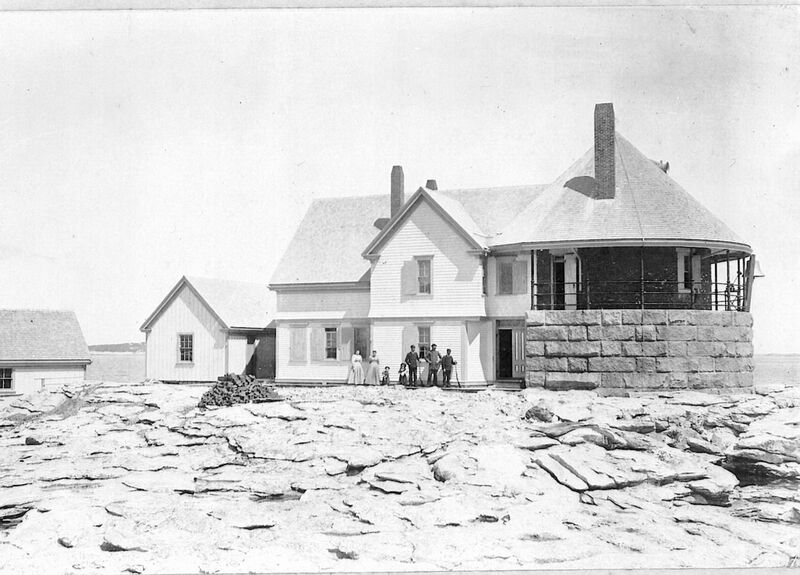 The keeper’s house and boathouse were rebuilt to historical specifications, while the tower was returned to its original condition. The suites, complete with marble baths, a drawing room, kitchen / dining room and innkeeper’s room were installed in the former living quarters, identical to historic photos on the outside but fitted with all modern conveniences and furnished in the style of an English country house. Many items were donated by benefactors of the restoration. Power and water were run out to the island from the mainland last year, and infrastructure projects continue though the Inn is now fully operational. Save for a few tilted boards the Coast Guard’s helipad remains. A small boat ferries guests to the Inn, owned and managed by the nonprofit Cuckolds Council, which will remain open through the end of September. 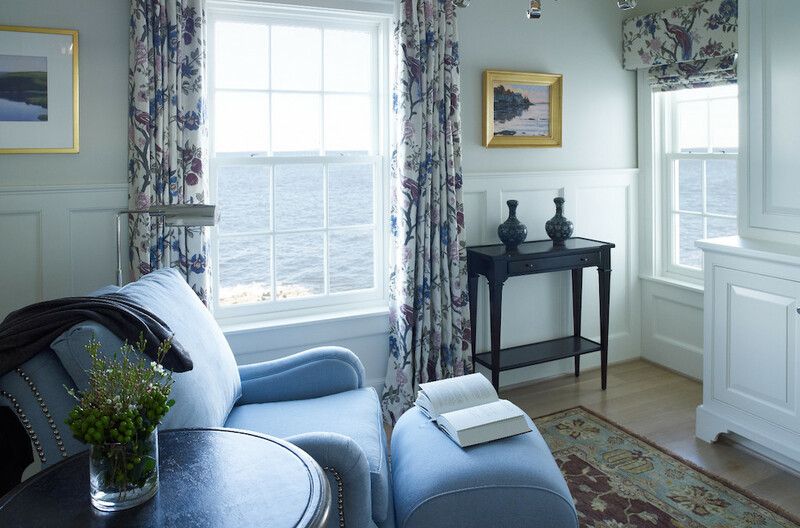 Those booking the “private island” package (both suites) can also schedule the launch as needed should they wish to visit the mainland for dinner, though the innkeepers, Captain Mark and Heather, can cook up lobsters and other local fare to perfection in the fully-equipped kitchen, where breakfast is also served. 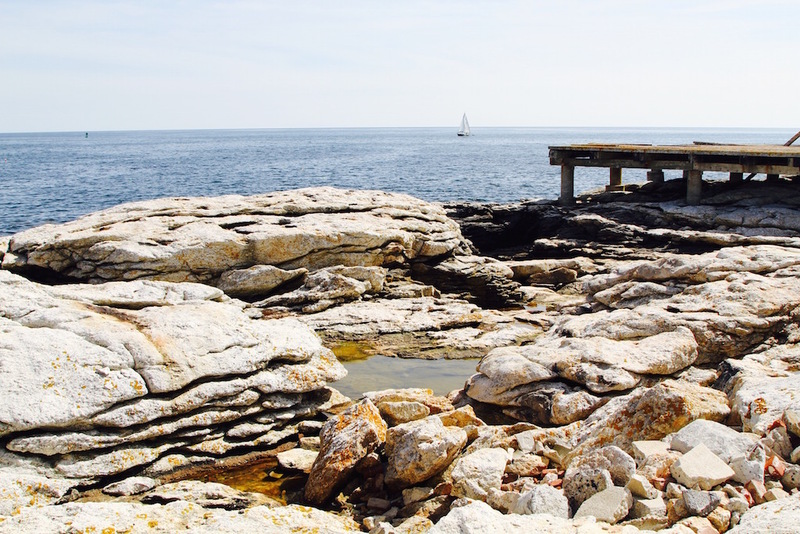 The small island has many tidal pools to explore, with tides rising and falling more than 10 feet twice a day, and harbor seals often come to bask on its rocks. 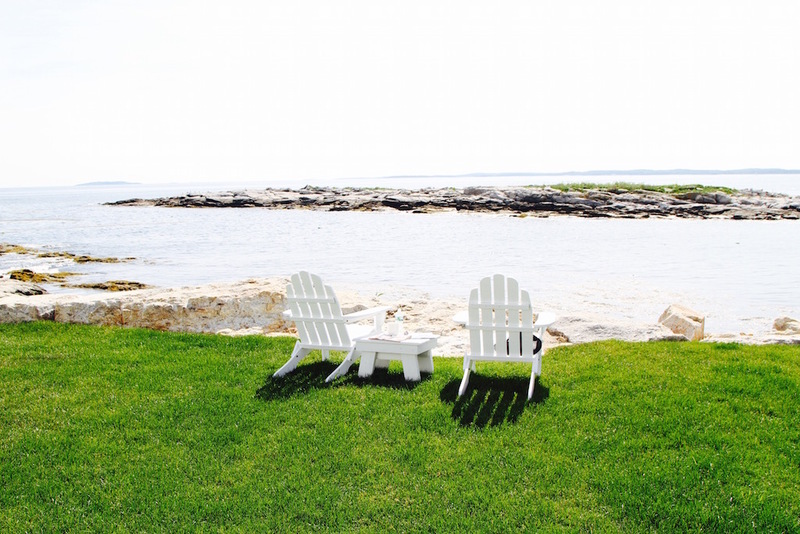 Adirondack chairs on the lawn look out to sea and the sunset, which lasts for hours this time of year. When it came time to leave the wind picked up, the sea turned rough and we almost didn’t make it off the island. That would not have been a bad thing. Maine is an absolute national treasure.